This is a takeoff on the white men billed in the early part of the 1900’s as “Great White Hopes” sent to knockout heavyweight champ Jack Johnson who was black and hated by some white boxing fans. The faces are drawn in a primitive Cubism style. 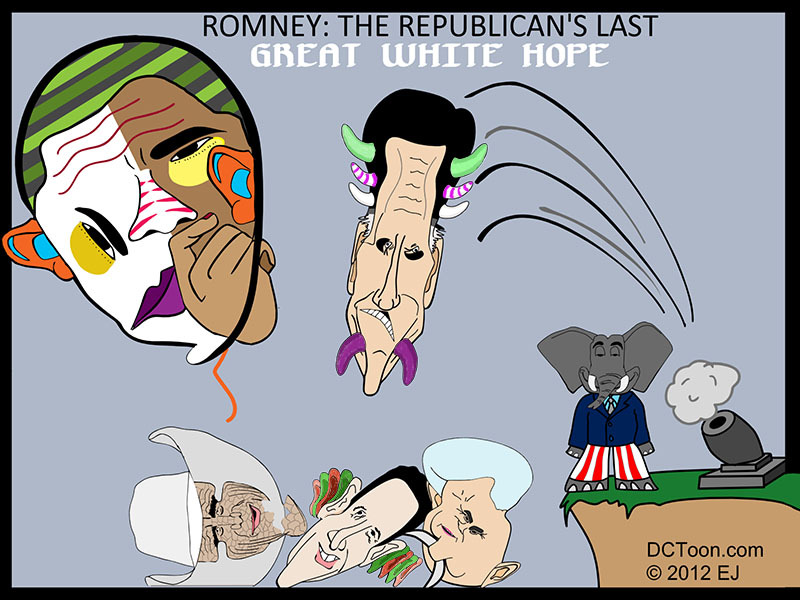 One by one, the leading white Republican candidates are shot at the pensive President Obama, who floats above them (so far).